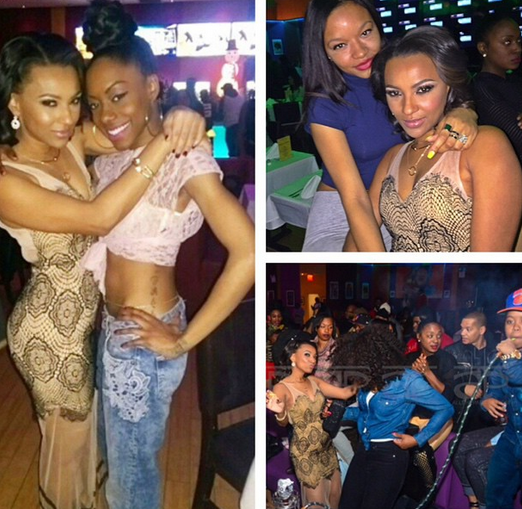 Home / Love and Hip Hop NY / Exclusive: Tara Williams and Peter Gunz Back Together? Exclusive: Tara Williams and Peter Gunz Back Together? The love triangle from the pits of thot-tastical hayle continues with Tara Williams and Peter Gunz back together again! Tara and Peter dated for thirteen years and during their relationship, Peter repeatedly cheated on her and had at least two children with another woman in New Orleans. What really sent Tara over the edge was when Peter married his German jumpoff, Amina Buddafly and knocked her up. It's funny how Peter's community peen wasn't a big issue for Tara, it was only when he put a ring on Amina's finger when everything went to shyt. Tara should know that marriage and commitment means nothing to Peter because he was still hooking up with Tara after he got married! Okay, let's get to the juice. I was scouring around Instagram and came across this photo that Love & Hip Hop New York's star Tara posted almost two days ago. It looks like she's enjoying a night out with friends, right? Well, what do you know! That's Peter's golum looking azz chillin in the club with Tara. Smh, where the hayle is Amina and their newborn baby? Tara knew exactly what she was doing when she posted that photo too. Poor lady still can't move on from that yellow peen I see. I'm gonna need for either Tara or Amina to grow some self esteem so this disease-ridden love triangle can finally crash and burn! No mas of this fukkery please! 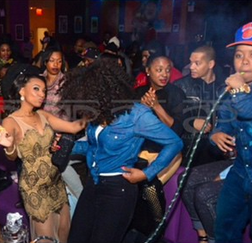 What do you think about Peter Gunz spending time with Tara Wallace in the club? Do you think these two are still hooking up?